First it was Diablo, now another two Blizzard games have been made available DRM-free on GOG.com: Warcraft and Warcraft II. Unless you've been living under a rock, you'll at least heard of the Warcraft franchise (if not the two games that started it all), so I suspect there'd be quite some demand for these. GOG.com apparently hasn't tinkered much with the original Warcraft and has just made sure it runs on modern operating systems (although I had to laugh when I read that the game had two-player versus play over LAN - that's so 90s, or should that be dial-up? ;)). 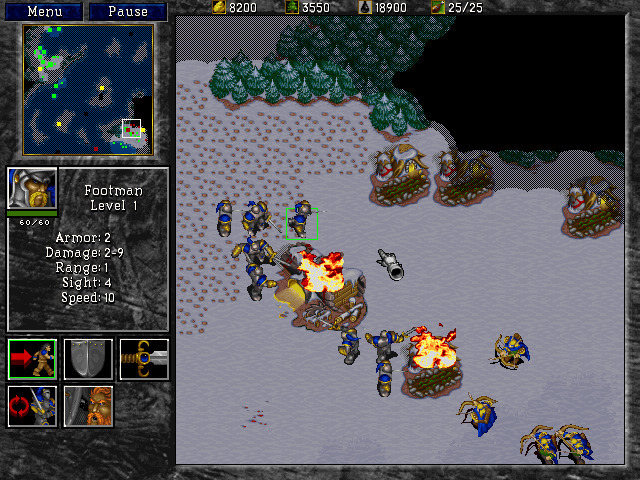 Warcraft II comes with two versions: the original version with Battle.net functionality, or an updated version which comes with compatibility fixes for modern systems along with hi-res support and upscaling (no Battle.net functionality but still has LAN support). You also get the expansion Beyond the Dark Portals if you purchase Warcraft II. GOG.com is offering both games as a bundle for $21.99 AUD or if you want them separately it's $8.99 AUD for Warcraft and $13.99 AUD for Warcraft II (so you're only saving about a dollar buying the bundle). Anyway, I'm sure there are some Warcraft fans out there that will be tempted by the deal. What do you think?